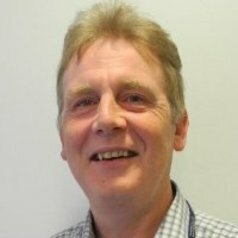 I started my career in 1978 in Edinburgh Royal Infirmary Clinical Chemistry Laboratories after completing a degree in Medical Biology at what became Glasgow Caledonian University. Trained as a Biomedical Scientist, passing my Fellowship Examination in Biomedical Sciences in 1982. I then transferred to work for the University of Edinburgh as a Research Scientist in 1984 and after part time study gained a PhD from The University of Edinburgh in 1990. In 1992 I was awarded the Earl King Prize from the Institute of Biomedical Sciences for a piece of original research entitled: Measurement of glutathione S-transferase pi by radioimmunoassay: elevated plasma levels in lung cancer patients. I have remained with Edinburgh University, working for a number of Professors until the present time, where I head up the Specialised Assay Service based within the Queen’s Medical Research Institute, giving Clinical Biochemistry support to researchers throughout Edinburgh and beyond. I have always been interested in biomarkers of disease, with over 70 peer-reviewed publications.